With ObamaCare’s Healthcare Exchange beginning January 2014, 25 million Americans with pre-existing health condition will now become eligible for health insurance. According to HealthCare.gov “up to one in five non-elderly Americans with a pre-existing condition â€“ 25 million individuals â€“ are uninsured.” These individuals can now get coverage through the healthcare exchange regardless of their medical history. What Plans Are Available to People with Preexisting Conditions? All plans for sale in 2014 will be available to anyone on medication or currently undergoing medical treatment.These plans are known as the Metal Plans. In order of least expensive to most expensive, they are: The Bronze Plan, The Silver Plan, The Gold Plan, and The Platinum Plan. These plans must offer essential benefits and guarantee issuance regardless of preexisting conditions. Can people with Pre-existing Conditions buy Catastrophic Coverage? This is unclear. In addition to the 4 metal plans listed above, there will be 1 catastrophic plan that people under 30 who are in “good health” can purchase. The Catastrophic Healthcare Exchange Coverage does not include essential benefits so it would not be a fit for those needing regular benefits. Exactly how they define “good health” is unclear for now. 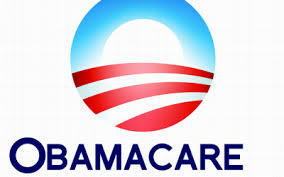 Click here to learn how much catastrophic premiums will cost. Medicoverage is looking forward to working with the Exchange to find new affordable healthcare plans for individuals and families who may have been declined in the past. We will update this page as new information becomes available. If you have specific questions about how your medical conditions will be treated in the Healthcare Exchange call us 800-930-7956 or contact Medicoverage.